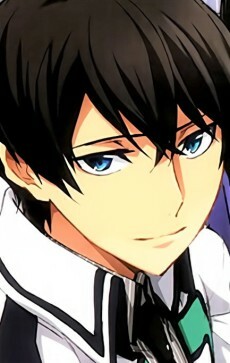 Shiba Tatsuya is a First Year Student in Course 2 of the First High School. He is the eldest son of Four Leaves Technology (FLT) company's president. His only sibling is Shiba Miyuki. Since he was born in April and Miyuki born in March, they are studying in the same year according to Japanese school system. He is known as a Weed, which is the considered the lower class. He has a rather cold personality and he doesn't show his feelings, but he seems to love his sister and cares for her. He calms her down, when she's about to lose control over her magic and doesn't seem to mind that she is one of the most talented students at the school, while he's only a reserve. He is not easily intimidated by his opponents.